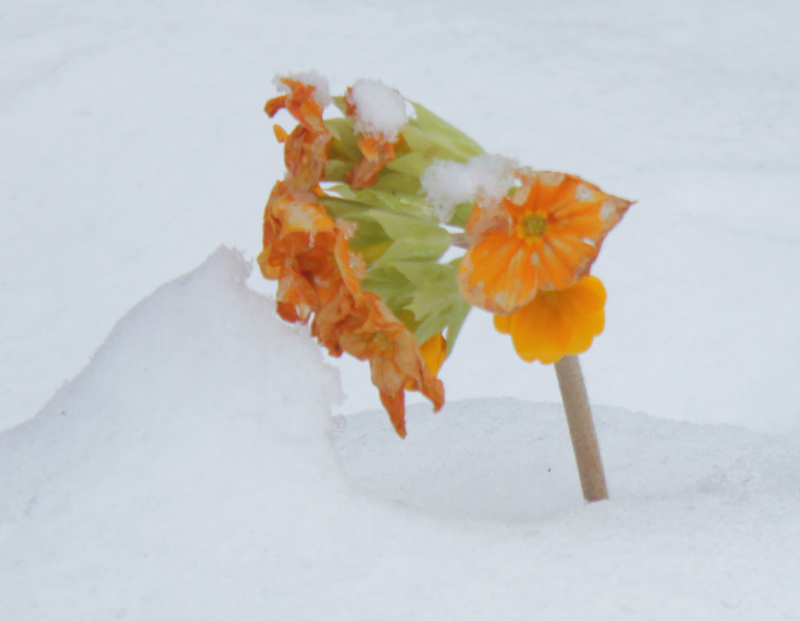 This blog may be languishing, but the garden is far from dormant! It keeps on growing, blossoming into a more & more beautiful place with every season; and we’re keeping on caring for it together with local people. 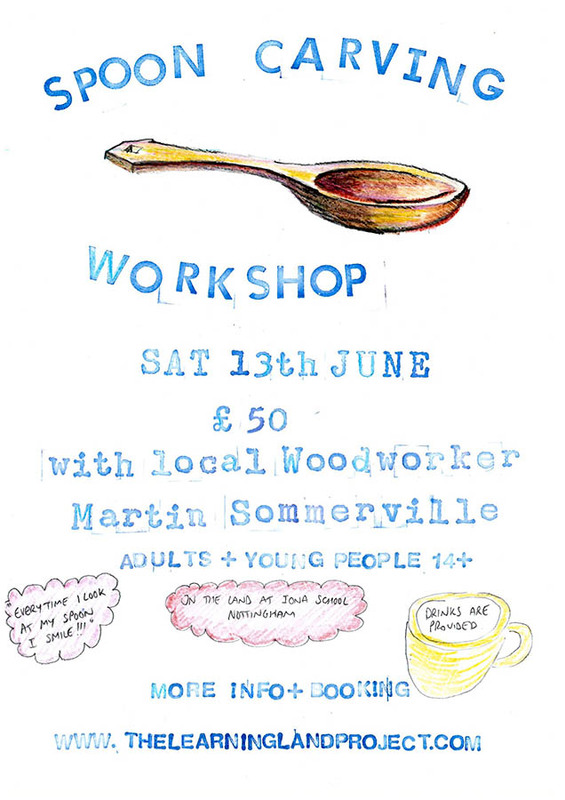 Carve a wooden spoon, with axe and knife in the peaceful surroundings of the Learning Land Project. Transform a fresh cut branch into a simple eating or serving spoon, with nothing but your own two hands and a few sharp tools. Discover the joy in shaping a personal, beautiful, functional sculpture! Learn to understand the wood, practice the basic grips for safe and effective whittling, gain confidence, master the techniques & be inspired to go further. At the end of the day you’ll leave with a lot more than a just spoon! suitable for absolute beginners and all skill levels. All tools and materials are provided. Free flowing tea and coffee too. Please spread the word to people you think might be interested. 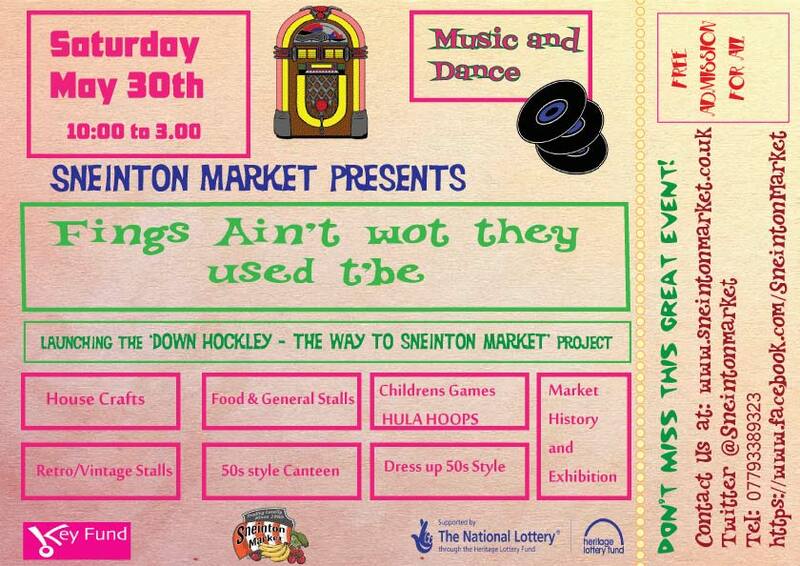 The Folks down at Sneinton Market are having a 1950’s themed jambooree next Saturaday, 30th May. 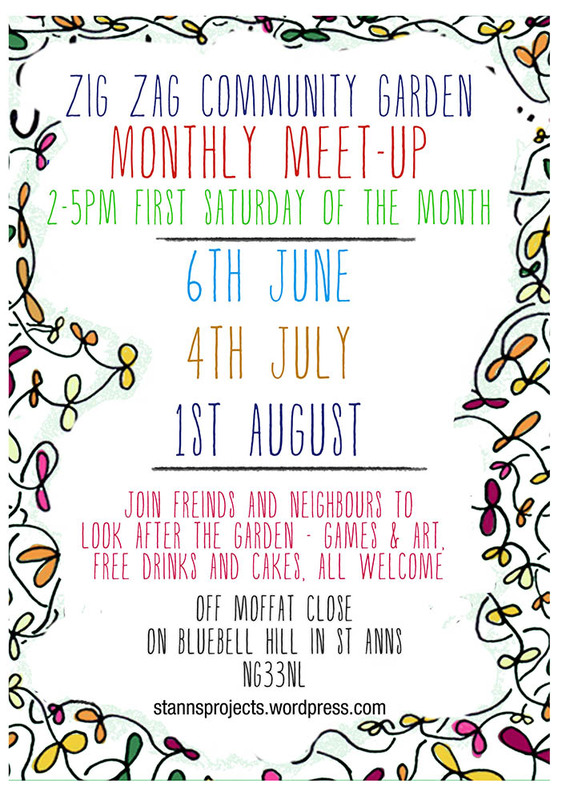 Vintage wares, music, arts and craft, games, and an exhibition of market history. Get your polka dots on and join in. 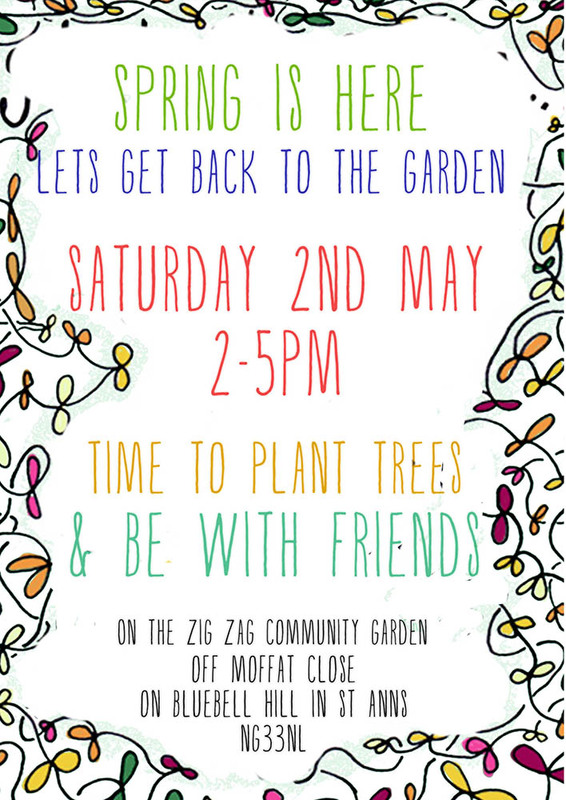 Thanks to Trees For Cities, friends at Summerwood Community Garden & St Anns Community Orchard the Zig Zag’s now have four new trees to add to our budding fruit collection! Lots of kind folk work hard to din in a damson, plum, pear and apple. The rains came just in time too, these trees have been well watered in. 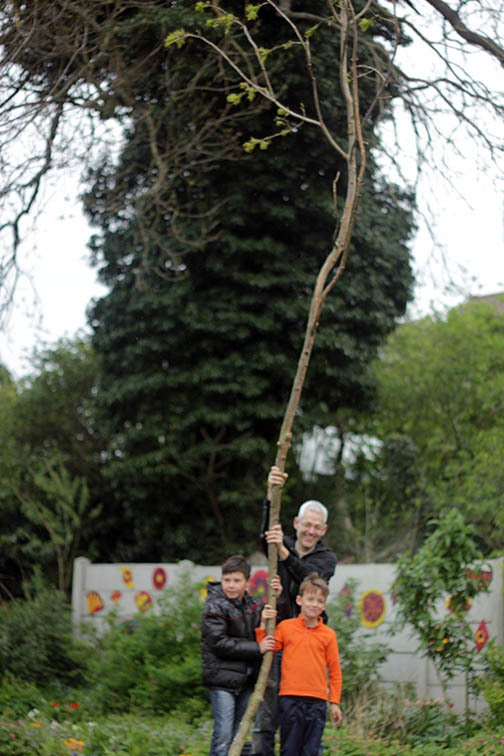 As well as planting there was also some extreme pruning along the boundary! Thanks to Julio for the tools (might we recommend a hard hat next time!) and Grace for the delicious cake. After a gentle clear up on Saturday, the garden is ready to hibernate over winter.